The bay of Agii Saranda (Forty Saints) and the surrounding area were first inhabited in the Early Cycladic period. 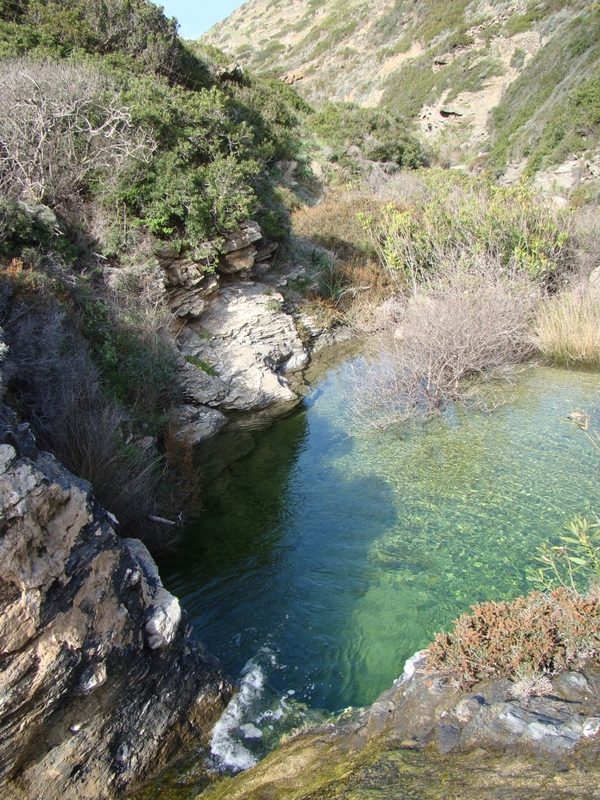 The Varmas gorge carries water down from the mountains, which finally drains into the bay usually well into summer when it eventually dries up. Many springs also provide plenty of water for most of the year. Up until recent times many small settlements in this area were still inhabited and the terraced land established in ancient times is still farmed. The double chapel just above the bay is built on the site of an ancient temple and many stones used in its construction date from the 5th century BC. Up until a few years ago within the screen of the chapel was a valuable Byzantine icon depicting the Forty Saints; it has been professionally restored and is now kept in the monastery of Hozoviotissa for security. It is currently on display next to the screen in the chapel. A copy is now kept in the church on site. The cache is in a DVD box in a plastic bag. It contains just a log. Please have a pen with you. It is outside the church not too far away.